Imaginei este saco num dia cinzento. Este é meu. Se quiseres um para ti, entra em contacto comigo! Give your life some color! 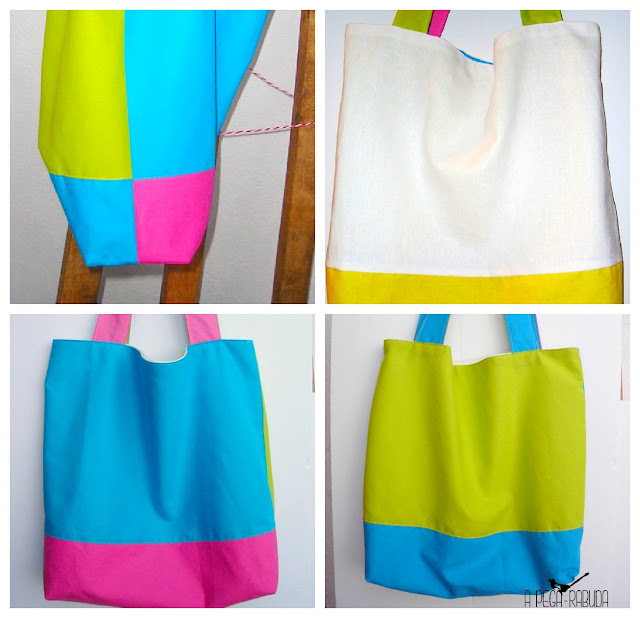 Fully reversible tote bag, with strong and contrasting colors. It is made of cotton twill and measures 37 X 34 cm. Choose your colors and cheer your days, changing between the interior and exterior colors, depending on your outfit. Send me a message with your favourite colors or blind shop with me!